One of the most popular and widely-used steroids in the body-building and athletic world is a substance that grants many wonders. It is a synthetic steroid that is derived from testosterone and can either be orally-consumed or injected. This substance, known as Winstrol, is called Stanozolol—a unique anabolic steroid that has been legally-sold in the market since 1962. Like all steroids, Stanozolol carries with it a number of side effects once improperly ingested. 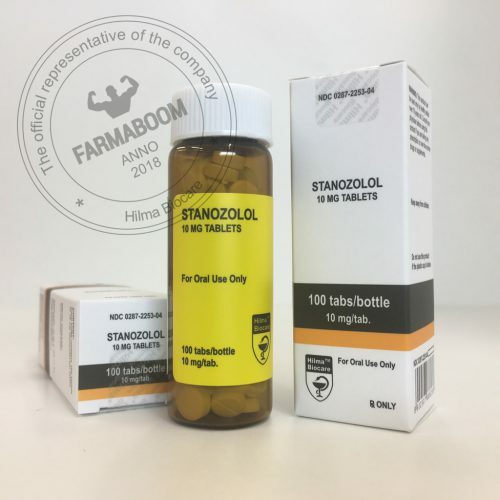 According to an article in FitnessUncovered.co.uk, the recommended dosage for orally-consumed stanozolol is 40-80 mg per day while injectable stanozolol is recommended at 50-100 mg per day. Once used properly, however, it can offer many benefits for the aspiring bodybuilder. Compared to other anabolic steroids that merely build-up muscle size, Stanozolol provides increased muscle strength as well. In an article from LiveStrong.com, Stephanie Dube Dwilson states that, partnered with the right workout, Stanozolol can help create hardworking muscles that can quickly recover. These Winstrol steroids help produce more red blood cells which carry oxygen for the body, including the muscles. It’s effect: a strong muscle mass minus the unnecessary bulk. The Medical News Today defines Water Retention as “the excessive buildup of fluid in the circulatory system, body tissues, or cavities in the body”. Many occurrences of such retention are usually caused by many anabolic steroids but, Stanozolol is one such steroid that discourages it. With Winstrol Steroids, muscle buildup transpires without producing fluid that can inhibit it from transforming into a veiny cut look. Many experts, particularly the ones from the United States Anti-Doping Agency, claim that stanozolol is not only beneficial for improving workout routines and body mass—its properties can also be used to treat a number of ailments such as aplastic anemia and hereditary angioedema. Additionally, it can be a supplement to the treatment of vascular disorders and growth failure. One of the primary reasons why Stanozolol is preferred among bodybuilders is its ability to burn fat. According to an article from SteroidsAbuse.org, an organization that aims to make known the dangers of steroid abuse and their extensive side effects, stanozolol produces a protein which heightens muscle mass buildup. Once the muscles harden, it will eventually lead to fat loss. In another article from WhatSteroids.com, it was said that Stanozolol increases the amount of testosterone levels, making it possible to preserve the existing muscle mass, and increasing the fat burning rates. Many men buy Winstrol steroids for its inability to aromatize or turn into estrogen. Estrogen is commonly known as the female hormone, although—according to Healthline.com—it is found in both genders. Stanozolol does not exhibit the typical Estrogenic or Estrogen-related side effects. In fact, Steroidal.com claims that it “does not interact with the aromatase enzyme and in itself is not Estrogenic in nature.” This means that using anti-estrogen inhibitors is unnecessary. Estrogenic side effects include water retention, bloating, high blood pressure, possible fat gain, and gynecomastia or the abnormal development of chest tissue. Stanozolol is certainly an anabolic steroid that possesses many benefits. As said before, it can also exhibit side effects if taken improperly. If one is to buy stanozolol, the proper daily dosage is highly-advised.